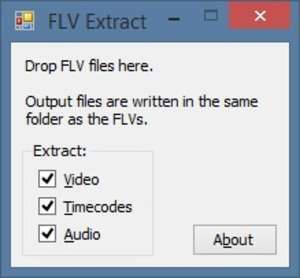 Flash Video (*.FLV) Extract extracts video and audio from FLV files without decompressing or recompressing. The video is saved as Windows AVI (*.avi) (H.
For security reasons, you should also check out the FLV Extract download at LO4D.com which includes virus and malware tests. Additional screenshots of this application download may be available, too.